The natural enzymes in lemon juice act as a natural alternative to potentially harmful laundry detergents that contain a lot of chemicals. In an attempt to cut costs and live in a more sustainable manner, cleaning with natural products can prove to be significantly beneficial. We have compiled a list of benefits and situations in using lemon juice to clean your clothes. 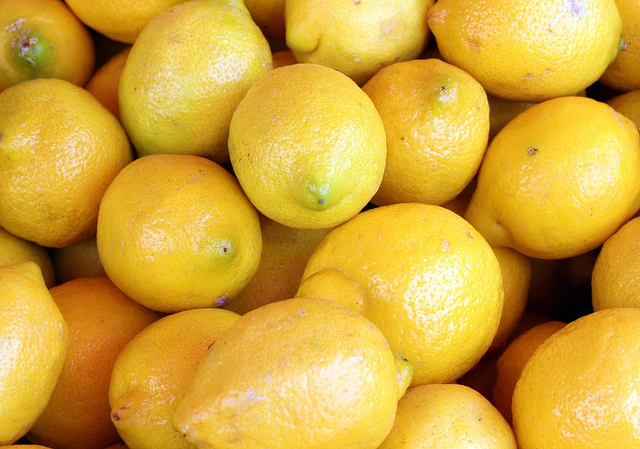 We have compiled a list of situations in which you can use lemon juice to clean your clothes. Bleach substitute: If you feel that your whites are not nearly as white as you’d like, add one cup of lemon juice to your normal wash cycle. The citric acid attacks stains and leaves a pleasant smell. Rust removal: Working in the garage or in the yard could lead to pesky rust stains which are not easily removed by detergent or bleach. Boil water and lemon juice then hold the stained area over the steam from the mixture. Afterward, wash like normal. Juice and wine removal: The damaging dyes from fruit juice and red wine could completely ruin a garment. Soak the piece of clothing in a mixture of ⅓ of a cup of lemon juice and ⅔ of a cup of water for 30 minutes to an hour. Proceed to then wash as normal. Mildew and mold combatant: Certain fabrics are more susceptible to mold and mildew, in particular if you live in a humid area. By creating a paste of lemon juice and salt, and then allowing the garment to dry in the sun, stains should be removed. Afterward, wash the piece as you normally would, if possible, in hot water to kill any spores left. Shoeshine: Leather shoes require much attention and should be shined frequently to maintain their durability and appeal. Using a soft cloth and lemon juice works as a great substitute to keep your fancy shoes shining bright. Household cleaning products often contain large amounts of chemicals that can be potentially harmful. With the use of all natural lemon juice, you can drastically reduce your exposure to these chemicals and live a greener life.